Today I had a busy and long day, hosting a quarterly event with Beachbody in Danville, CA. We tried Tony Horton’s new program 22 Minute Hard Corps and now I’m at home exhausted, but craving something sweet. I forgot that I had a cantaloupe in the fridge and thought it would be a perfect post dinner snack or dessert, to help satisfy my sweet tooth and fill me up! 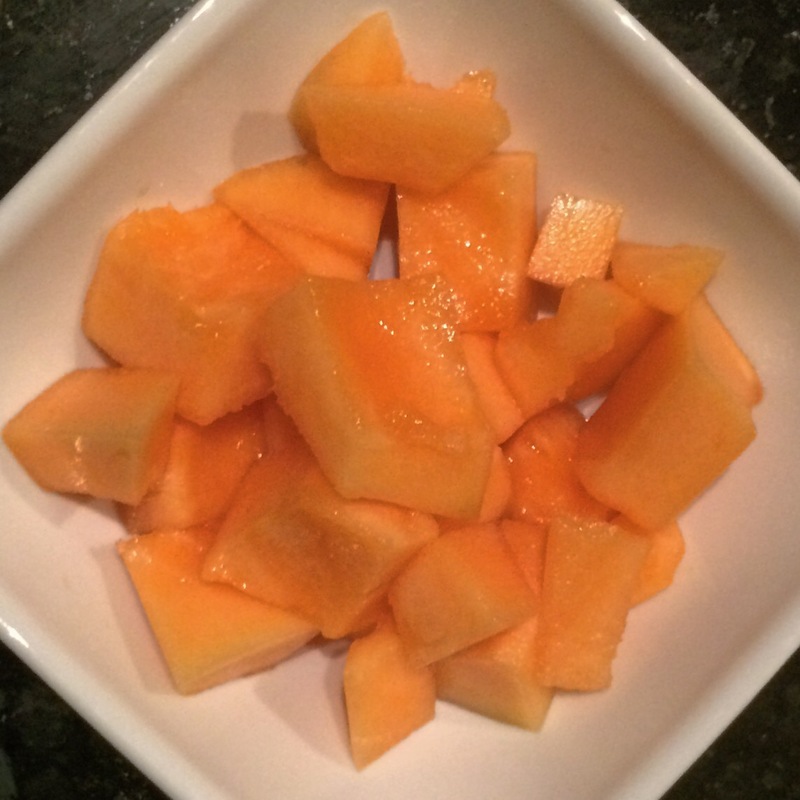 As I was snacking away, I decided to do some research on the benefits of Cantaloupe and I was pretty impressed! It’s packed with Potassium, Beta Carotene, Vitamin A and Fiber, along with many other antioxidants. It also has a high water content, which is perfect for a post workout snack. Did you know that it helps with hydration, digestion, inflammation, blood pressure, asthma and even cancer prevention? Here are some ways that you can add more to your diet. Eat them plain, seriously I love to chop it up and eat them just as they are. Make a fruit salad. My favorite combo is with watermelon, strawberries, and mint leaves with a squeeze of lime. Drink it. Add thin slices to your water or I even have a friend who grates it and adds it to her water. How do you like your Cantaloupe? !